July Favourites | What Does Mel Think? For me July is the best month of the year because first of all it's my birthday and also it's the real start of summer. This month has been even better than usual because we've been treated to a heatwave which is very rare in England! These are just some random favourites put together, I thought it would be a good way to introduce myself. This has been my go to lip colour of the month and I've used it pretty much every day. As it's been much hotter I haven't really wanted to go all out on my make-up so I've just been wearing concealer and foundation and this is the perfect colour to go with a more natural look. The colour looks so bright but it isn't very pigmented, it just enhances the actual colour of you lips. 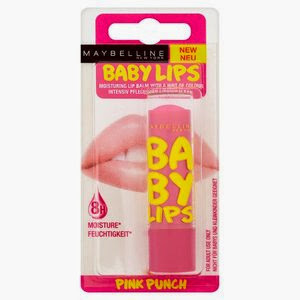 It is also mainly a lip balm so it keeps your lips really hydrated and it's such good value for money at £2.99! Another birthday present from another friend, this smells so amazing. I actually got the 'Bad Day Box' which I think is so cute, it also had the 'Pulp Friction' body scrub and 'Foam Call' shower gel. The butter itself melts onto your skin and if you use it every day you can notice the difference very quickly. I had been listening to this on Spotify 24/7 since it was released until my friend got it for me for my birthday and since then I have been listening to it on my CD player 24/7. It is such an easy album to listen to and perfect background music, all the songs are so beautiful. I wasn't a huge fan of his first album but this is a very new sound and I absolutely love it. The lyrics of the songs are so powerful and every time you listen you can pick out new little references and puns that you hadn't noticed before. It's definitely one of my favourite albums of all time already. I would recommend getting the deluxe version too because the songs from The Hobbit and The Fault in Our Stars are so poetic and fitting to the movies. 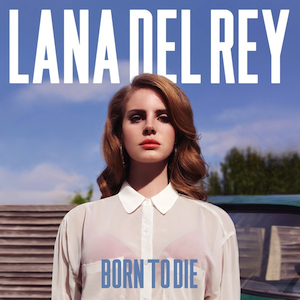 I got this album last summer but I think it is the perfect summer album, I was sitting in the park one day with my friend and we put this on and it was just so perfect for a hot day when you just want to relax. Lana's voice is so soothing and the lyrics again are so intricate and interesting, this is my go to if I'm walking out and about or having a picnic with my friends and we want to listen to something. Oh my god, I am going to try so hard not to gush over this but this is my new obsession. I had heard all the hype around this but didn't really see how a prison drama could be that amazing but oh how wrong I was. I can't even fully describe why I am so hooked on it but it just combines comedy with romance with drama and it's just so different. As much as I never see myself having to go to prison, I think it's something we all wonder about what it would be like. This is a trivial and not particularly trustworthy perception but so interesting nonetheless. I have just finished the end of season 1 and it was the craziest cliffhanger ever, that's all I will say. Having taken English Literature at A Level and also now starting work for A2 I have a lot of set reading to do, I don't get much time to read for myself. Although I do try to read one book of my choice every now and again, this time I decided I would give Fangirl a go because I had heard such good reviews. This is definitely not a genre I have read for a while, recently I have been much more into dystopian and fantasy books but it was really good to go back to a more light hearted romance story. I was a bit dubious of how fan-fiction would fit in and I have to say I would have enjoyed the story the same or perhaps more if there hadn't been such a heavy focus on it, although I thought it was cool how they integrated something that is very normal for a lot of teenagers now into something as 'mainstream' as a book. The characters in the book are what captured me. I just felt I could relate to Cath so much, and you really grew attached to them as the story developed. This was even to the point that at the end I was sad because I would miss them! Definitely more aimed at teenage girls and definitely worth the hype.